The Mitchell Park Horticultural Conservatory's Show Dome is transformed 5 times each year. Each Show Dome display has a specific theme, generally categorized as historical, cultural or fantasy, and is chosen at least a year in advance. Plants are selected specifically for a particular floral exhibit and grown in the Greenhouses located at the Mitchell Park Domes. Once in place, a show may last from six to fourteen weeks. Please note that Show Dome is closed for approximately two weeks between shows to transistion to the new theme. 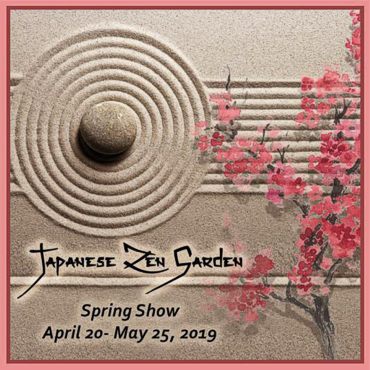 Relax and unwind in the serenity of our collection of Zen gardens this spring season. Take a peaceful stroll through a variety of small gardens designed to imitate the intimate essence of nature and to serve as an aide to meditation and quiet reflection. Among the carefully arranged rocks, water features, and Japanese sculptures, find a calming collection of pastel-colored hydrangeas, azalea, and tibouchina shrubs. Blooming Hokkaido cherry trees dotting the landscape act as a sure sign of spring. Rosemary topiary forms, Kokedama moss balls, Ikebana arrangements, and ornate Bonsai specimens are displayed to complete the scene, transporting you to a relaxing, meditative space. Explore a summer garden inspired by the depths of the ocean floor. Colorful fish sculptures will swirl around plants that resemble what one might find 'Under the Sea'. A variety of bright succulents and vivid 'Under the Sea Series' coleus will add to a decorative coral reef and a mysterious sunken ship.